April is LGBTQ month here at Mizzou, and do you know what that calls for? 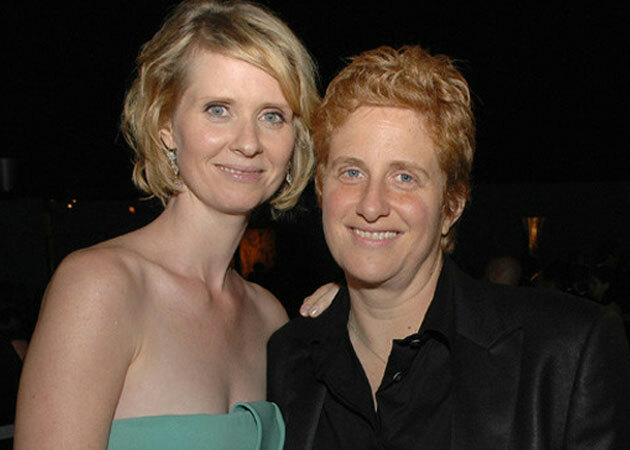 A fantastic countdown of our favorite LGBTQ couples! These amazing people are leading by example and breaking down barriers for similar couples all over the world. Use star power for good? You don’t have to tell these couples twice. These two are literally the epitome of “cute couple,” from their adorable twins to their fantastic smiles whenever they’re with each other on the red carpet. Their spreads in magazines, dressing up their kids in costumes, everything about these two is actually perfect. I’m so jealous of this relationship. Seriously. Why can’t my boyfriend and I be this cute/charming/funny? And a lot of people (I daresay almost everyone) is invested in their happy relationship. Don’t believe me? Just ask Buzzfeed: they did a quiz about just how well you know Neil and David’s relationship. It goes to whole new levels of creepy. Oh, yes. Ellen and Portia met in late 2004, married in 2008, and have been stealing our hearts ever since. They’re the epitome of “power couple” and both have helped the LGBTQ movement make enormous strides in the past few years. Ellen is hilarious and also extremely outspoken about her sexual orientation in a very subtle, no-nonsense way. She even pokes fun at herself sometimes on her show. Quite honestly, she was a trail-blazer for lesbian women in the television industry. Portia not only dealt with coming out as a young actress but also fought a battle with anorexia, eventually writing a book about the ordeal. Together, these two strong women are helping other strong women find their ground and raise awareness about LGBTQ-related issues, including the “It Gets Better” project. After meeting in 1993, they entered a civil partnership in 2005. Elton had been through two previous marriages already, but that didn’t matter to this couple. Even cuter? They have two adorable boys, Zachary Jackson Levon Furnish-John and Elijah Joseph Daniel Furnish-John (whew! Those are a mouthful). The couple also attempted to adopt a boy from an AIDS orphanage in Ukraine, but were denied the adoption due to age and marital status. The couple still continues to care for the boy though, sending money and campaigning for a change in the law. These two men certainly know what it means to care for the ones they love, related or otherwise, not to mention all of Elton’s work with the Elton John AIDS Foundation that he founded in 1992. Probably my nerdiest crush ever, George Takei was in "Star Trek" way back when, and I’ve watched all of the reruns. 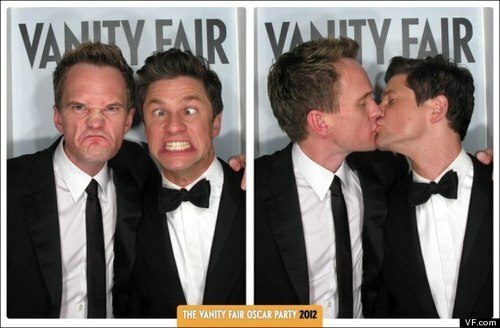 The fact that he’s in a relationship that rivals Patrick Harris and Burtka up there is also a huge plus. He revealed to Frontiers magazine in 2005 that he was in a committed relationship for 18 years prior with Altman. He made no effort to “come out,” or hide his sexuality from costars, an example that speaks volumes to LGBTQ youth today. Extremely outspoken about gay rights (and human rights), he’s given countless interviews about what it’s like to be a gay man in today’s culture and society, and how it’s really not so different from being a straight man, except for that discrimination thing (kind of a big deal). Altman helped take care of Takei’s terminally ill mother, as any other loving couple would. Hell, after marrying during the short window that Proposition 8 was legal in California, Takei and Altman went on a celebrity edition of "The Newlywed Game Show" and donated their winnings to the Japanese American National Museum. 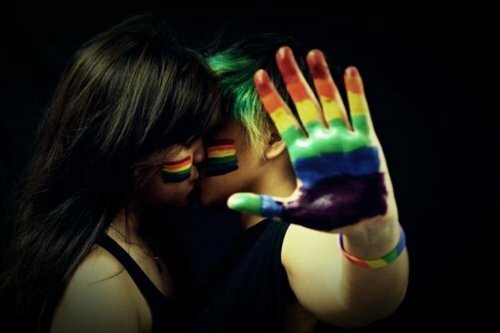 If that’s not evidence of how amazing this couple is, I don’t know what is. Who are your favorite LGBTQ celebrity couples? Let us know in the comments below.